No items currently in cart. 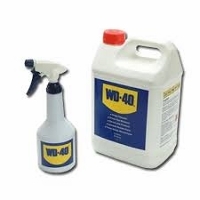 Ideal for building & industrial trades - Stops squeaks, drives out moisture, cleans and protects, loosens rusted parts, frees sticky mechanisms. 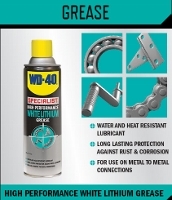 From the range of WD40 specialist products is this high performance white lithium grease. 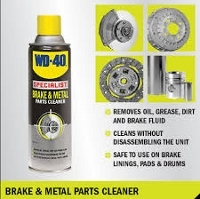 From the range of WD40 specialist products is this brake and metals parts cleaner. 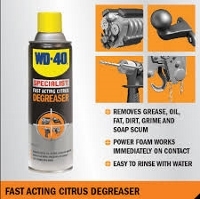 From the range of WD40 specialist products is this fast acting citrus degreaser is ideal for all workshops. 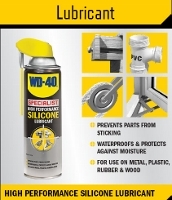 Also from the WD40 range of products is the 3-in-1 branded air duster. 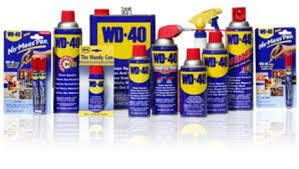 Cart has been successfully updated.